While browsing the holiday gift aisles of Sephora last month, I came across this tiny little palette and decided to have some swatches. The price caught my eyes right away, it was so hard not to do a purchase. 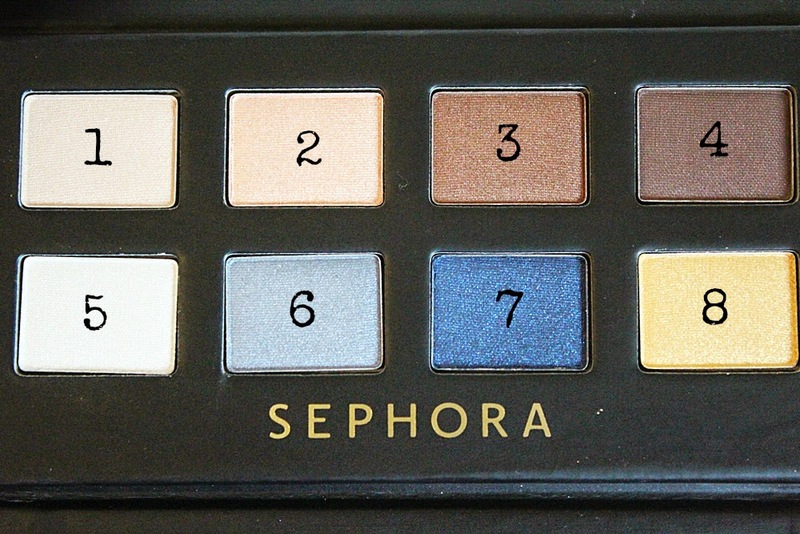 It's the 'VIP Pass' Palette from Sephora's own brand for their 2014 Holiday Collection. This limited edition palette consists of 8 eyeshadows which the colours selection are ideal for taking the looks for day and night makeup. The size of this palette is almost similar to an IPhone 5. 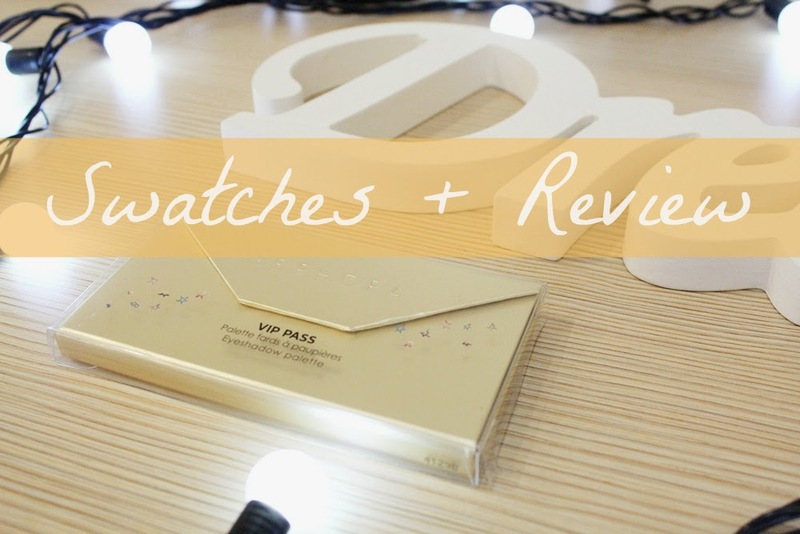 These shadows are housed in a cardboard with envelope/purse/clutch look-alike packaging and I'm very surprised at how lightweight and sturdy it is, which makes great for travelling. On the bottom part of the palette, there are some pictures and tips on how to create a party look. It unfortunately do not have a mirror and brush/sponge applicator. All swatches dry, without primer. Cray-cray pigmentations on hand. And just like that I got blown away. I swatched all the eyeshadows in store and I was like "Wow, these are extremely pigmented", and I thought for the price, why not? Number (4) is the most buttery while (8) is extremely stiff on pan. This makes me happy because a matte colour don't usually show up easily when swatches. 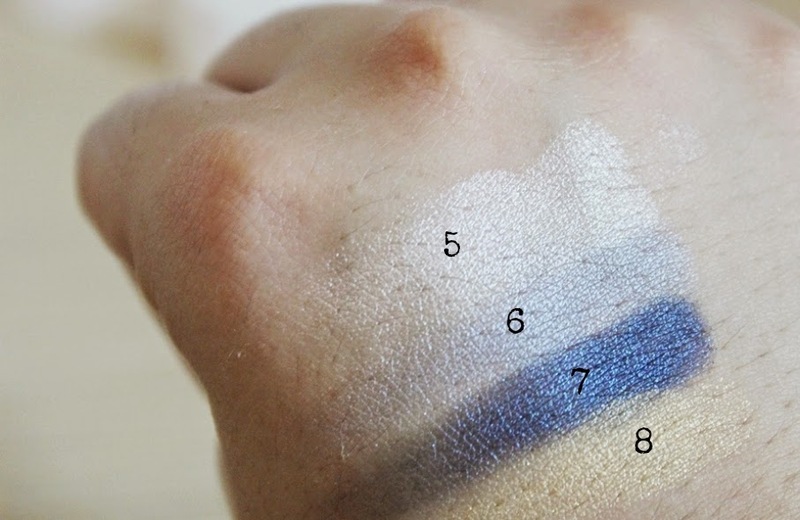 (3) and (5) are creamy and crazily pigmented while shade (6), very difficult to swatch. (1) and (2) can be use as a highlighter and to brighten up the inner tear duct area. 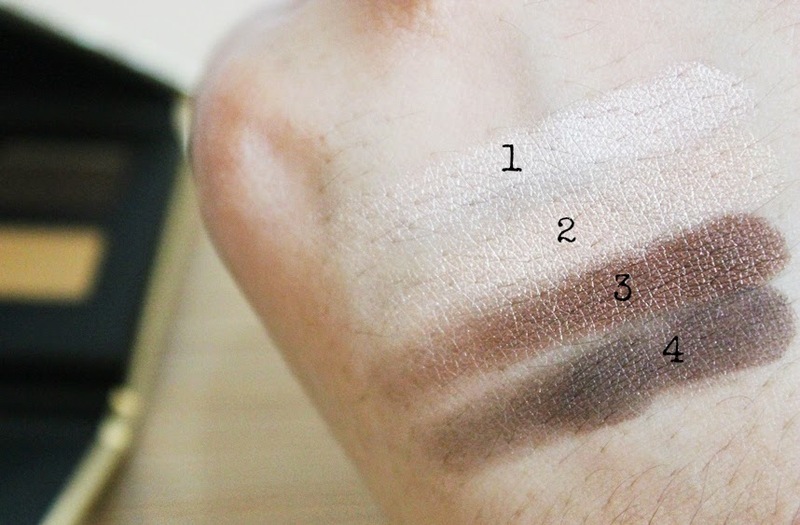 (3) and (4) are perfect blending shades for crease area. I particularly like (2) and (3) the most. While that, I've always have problem picking up pigments from shade (2) and the colour just don't translate well on lid. To me, this palette has a nice, wonderful selection of shades and most of them are pigmented when swatches on hand. However, the quality of the shadows are a bit hit and miss. Shimmery shades feel a bit too dry and stiff to my liking. I find it hard for my brush to pick up some colours. On the other hand, brownish tones work beautifully on the lids. I'd recommend you to use this with a primer underneath. I have no problem with glitter fallouts and creasing. - No Carmine as colour additive, parabens free. - For some reasons I do not know, the selection of colours of the VIP PASS palette selling in some Western countries are different than in Malaysia - specifically for shade 6, 7 and 8. See here for reference which I've noticed that their palette is somewhat similar to 2013's Event Entry Palette. *One of my friend bought it from Zalora, but I couldn't find the specific link to it (http://www.zalora.com.my/beauty/). I've not tried these shadows wet, but I think they blend nicely and produce more intense pigmentation, aren't most eyeshadows like that? ;D. Anyway, for paying less than 50 bucks, you can't go wrong with this palette. I even bought it at a much lower price because of the Sephora Card discount. Limited edition palette, I might add. So snag this before it's sold out! I just checked the price again on Sephora website, it's $10! ;O *jaw drops* SO AFFORDABLE! Me too! attractive and very travel-friendly! This is sooo pretty, never heard of it though ..
Love your blog, Rafydah!! TQ for commenting!